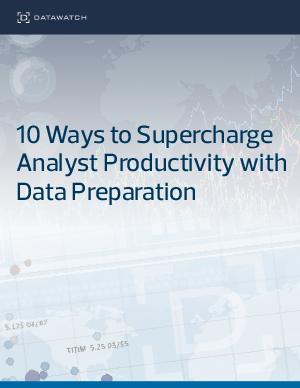 Up to 80% of all time spent on analytics is consumed by data preparation. Don’t believe us? Just ask your business analysts! Data is never perfect and both routine analysis tasks and ad hoc projects often require business analysts to spend hours to clean, enrich and join multiple data sets before starting their analysis. Despite investment in analytic tools like Tableau and Qlik, many organizations continue to default to Excel when performing these data preparation functions. This “Excel hell” requires manual work that wastes analyst time and can lead to error prone data.